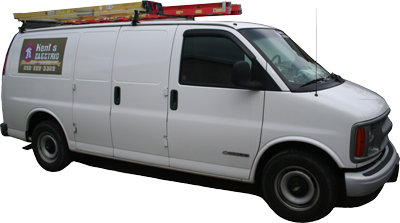 As an insured and bonded electrical contractor, Kent's Electric is fully covered for your protection. When Kent's Electric installs something YOU are covered. Kent Burnett is an Inter Provincial Red Seal Certified (2002) and a Field Safety Representative (FSR) class (B) electrician since 2003. As a certified tradesman you can rest assured that Kent meets or exceeds all of the governmental regulations and has proven skills that make him qualified to design, test, install and commission many different types of electrical systems from simple to complex. Kent has 35+ years of customer satisfaction experience from technical and industrial positions he has held from computer sales and networking support to roofing inspector and project management. Copyright © 2011 - Cybersky All Rights Reserved.